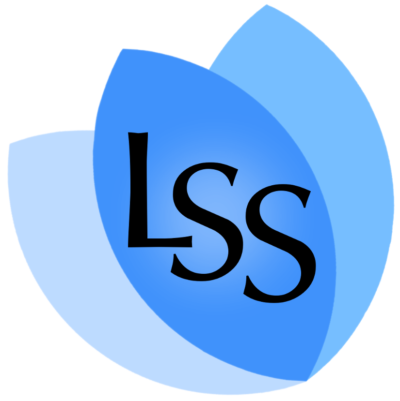 The nomination period for the LSS awards takes place for a week in March of each year, during this period nominate your peers using this form. The Terry J. Wuester Award: Is presented every year to a member of the faculty who has exhibited a commitment to student learning and development both inside and outside the classroom, as determined by a vote of the graduating class. The John McLaren Award: Is presented every year to a member of the staff who has demonstrated an exceptional commitment to students and student initiatives within the law school, as determined by a vote of the graduating class. First Year Class Teaching Award: Is presented annually to a professor who, in the opinion of the 1L class, has made a special contribution to legal education through effective and engaging classroom teaching and a demonstrated commitment to assisting and supporting the academic work of first year students. Adjunct Professor Award: Presented each year to the adjunct professor who has contributed the most to the students of UVic Law. Adjunct professors play an important role in bridging the gap between legal education and practice by providing the benefit of their hands on experience to students in a classroom format. Diana Priestly Award: Given to a third year student who has demonstrated outstanding service to the Faculty of Law over their entire law school career. F. Murray Fraser Award: This award is presented to a third year student who has made an outstanding contribution to life at the law school during their final year. Bronze Tie Award: Given to a student who has fostered, maintained and strengthened ties between the law school and the legal community. The award is presented to the student who has best promoted “ties” between the law school and the community. The Josef Zagrodney Award: This award is presented annually to a student that fosters genuine friendships and exemplifies an enthusiasm for learning in all aspects of life. Unsung Hero: This award is presented to a student or students who has/have worked tirelessly to better the law school community. Keanu Reeves Award: This award is presented to the most inspired dramatic or comedic performance. Given to a specific performance at an LSS event. Hall of Pain Award: This award is presented to the student who has shown the most “personal sacrifice” in UVic Law’s pursuit of athletic excellence. Leonardo Da Vinci Award: This award is presented to the club executive that ran the most creative, innovative, successful event of the year. The award is presented to the executive of the club as a whole. Roadhouse Award: This award is presented to the host/ess or household who had the best party of the year. Newbies Award: This award is presented to a first-year student who has made an outstanding contribution to the law school for the benefit of other first-year students. Best Law Buddy Award: This award is presented to an upper-year student who has been an exceptional supporter of current first-year student(s). #uvicdifference Award: This award is presented to a student that exemplified the UVic difference this year in all its shapes and forms. Scales of Justice Award: This award is presented to the student who best demonstrated a balanced approach to a legal education. Res Gestae Award: This award is presented to the student who made the best post on social media this year and contributed to the hilarity of law school in a positive way.